Most people associate stainless steel countertops with commercial use. 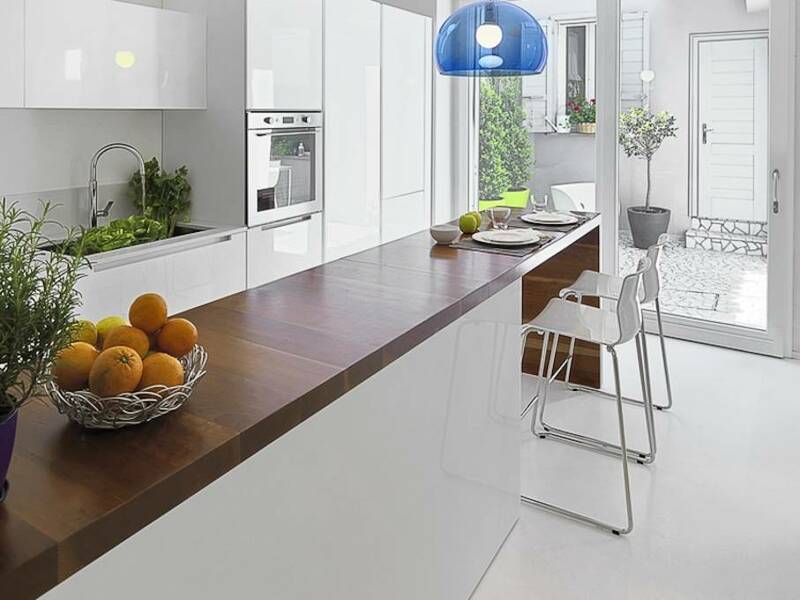 However, these counters are increasingly being used in home kitchens, due to their durability and sleek, modern look. If you already have stainless steel appliances, introducing a matching benchtop can bring a sense of unity and completeness to your kitchen. The flexibility of steel also allows amazing customisation throughout the kitchen. For anyone who hates cleaning the joins between sinks, benchtops, and splashbacks, a seamless stainless steel counter with integrated sink and splashback could be a dream come true. Like stainless steel benchtops, we are used to seeing hands-free faucets in a commercial capacity. And we know that they’re important to doctors, surgeons, and dentists because of their superior hygiene. Increasingly we are seeing these taps in our home kitchens, and the results are fantastic. Anyone who loves to cook knows the dangers of cross contamination when handling foods like raw meat, so it makes sense to have a hands-free taps in the kitchen. They prove convenient for a range of everyday tasks, like quickly rinsing food, filling heavy pots, or anything else which requires two hands to hold. Furthermore, you will find yourself saving water as you won’t leave the tap running between tasks. Many people have taken advantage of dishwashing drawers in their kitchen, due to their ergonomic design and stylish integration with the rest of the cabinetry. But refrigerated drawers are also on the rise. A fridge, whether we like it or not, is often the focal point of a kitchen. Traditionally a fridge does not seamlessly integrate with its surroundings, and is rather is placed in a recess of only roughly the right proportions. Cleaning behind and around such a fridge is not a task we often take on. Refrigerated drawers are pushing the idea of what a fridge can be- a stylish, seamlessly integrated component of a modern kitchen. With the option of having one or as many drawers as you like, and the technology to switch between freezer, fridge, and pantry in the same drawer, it has never been easier to store food and drinks in style.